The Vichy Normaderm 3 in 1 is great for those who aren't interested in having a separate cleanser, scrub and mask. 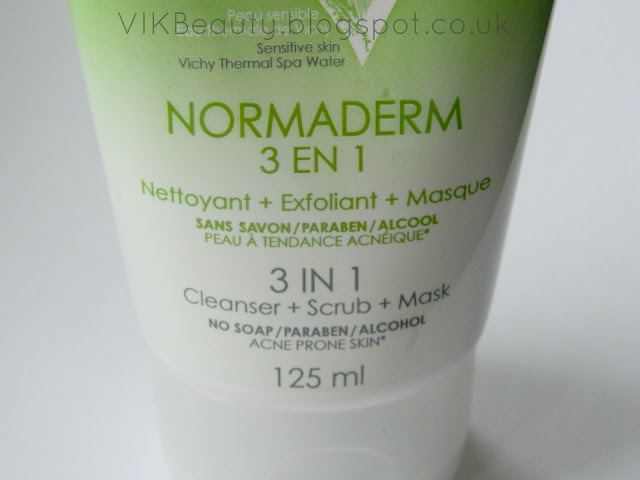 Normaderm 3 in 1 is part of the "tri-active" range. It is soap-free, paraben-free and alcohol-free. This is great for people who may have sensitive skin or acne prone skin. It contains soothing agents and deeply clarifying clay. I have used this product in the three ways mentioned above. However, I currently use it as a daily cleanser/scrub. 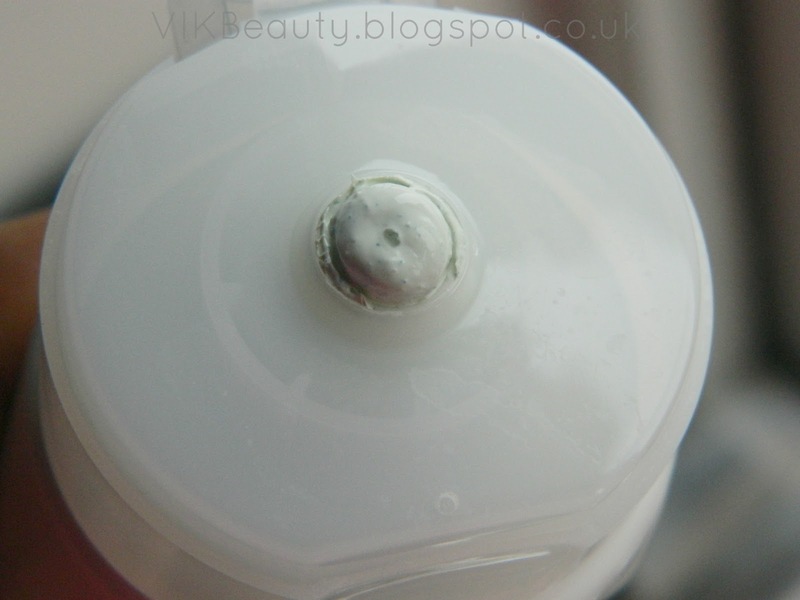 It has a really creamy texture to it (25% clay) which makes it easy to apply. I lather it onto my damp face (it really foams up easily) and rince it off with plenty of water. The product has a gritty consistency which unclogs my pores and softens my skin tone. After using it, my skin didn't feel tight at all which is great. I really dislike that annoying tight feeling you can sometimes get. If you wanted to use this as a mask, you would have to apply it to your damp face and leave it for 5 mins before washing it off with warm water. You will feel a tingly sensation once you leave the mask on, so that's something to be aware of. You can see the granules in the cleanser. The cleanser has a sort of cucumber and apple scent to it which isn't too overpowering. You also do not need to use that much product. I normally use a walnut sized amount daily which I find is sufficient. I have oily skin and get some spots now and again so I find that this product has really helped to reduce the amount of oil my skin produces. At least for the first few hours after using it. 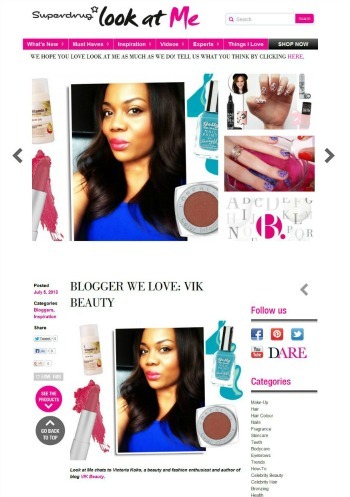 You can pick this up from your local drugstore or at a number of online beauty stores. It currently retails at £11 for 125ml in Boots. I think this is good value for money. It is essentially three products in one. It has worked well for my skin, so I will be purchasing this item when it runs out. Have you tried this product before? 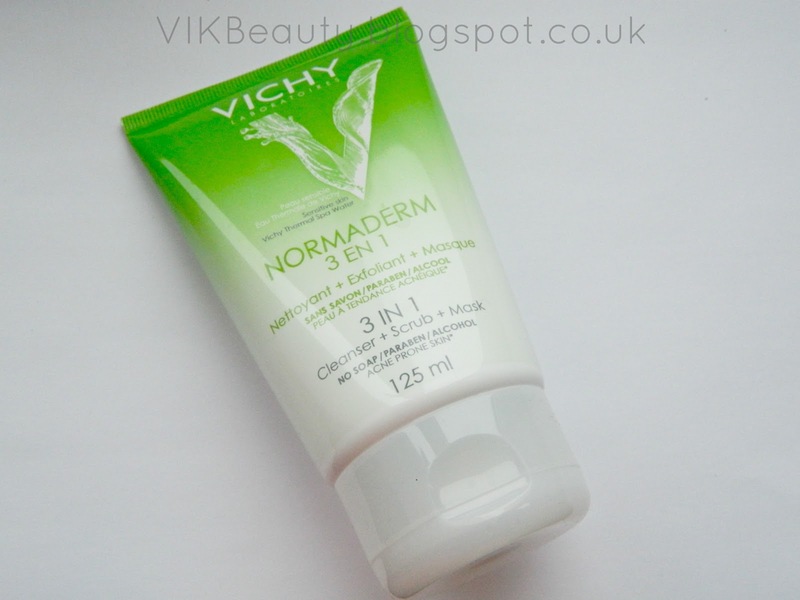 What are your favourite Vichy products? Ooh it sounds more expensive than it is! 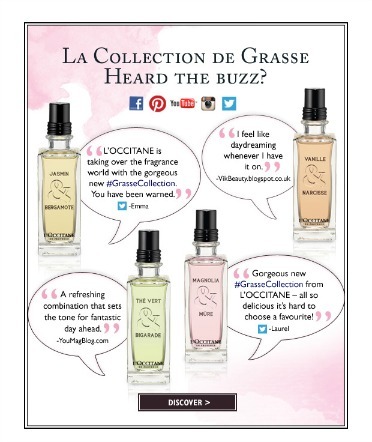 Is vichy a French brand? Think I might be tempted to try it when I run out of my current cleanser, as it sounds fab. Just wondered if you could clarify how much you use per application; you said you didn't need much, but I think a walnut sized amount each day is loads?! Ohh I reviewed this yesterday too - glad to see somebody else enjoying it :)! I really like using it as a mask, although it didn't tingle for me!